Elizabeth Noord said on SS Belgenland at age 16 with her parents Berend and Kunje Noord and her 6 siblings. See Immigration page. 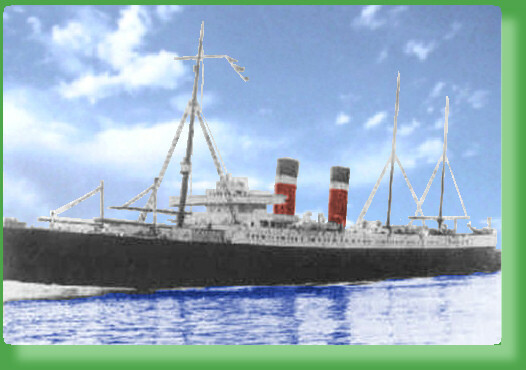 Many genealogists have confused Belgenland for Belgenland II, built by Harland & wolff, Belfast in 1914, she was a 27,132 gross ton ship, length 67.4 ft x beam 78.4ft, three funnels, two masts, triple screw and a speed of 17 knots. She made voyages around the world and was similar to Titanic.